Annabelle Grace Flower Summers: Facebook killed my blog! Well, maybe it didn't kill it but it sure helped keep it quite for a while. It's been so long! Where do even I begin? Sadly, it's just become way to easy to post to Facebook that I have stopped posting here. I recently slowed down enough to think about possibly blogging again and why I even started blogging in the first place. Blogging has been an important part of my life since I received Annabelle's Spina Bifida diagnosis when I was pregnant 5 years ago. Being able to share our challenges and celebrate our successes openly was extremely helpful for me. Blogs connected our family with many other families living with Spina Bifida. For me, knowing that I was not alone during those more challenging days meant everything. I can still vividly remember being pregnant and looking at blogs of other families and gaining so much inspiration. Sweet Katie and precious little Nellie were two girls who's smile and daily determination gave me hope each week. I have been told over the years, on more than one occasion that our Annabelle has done this same thing for other families. Knowing this makes me so happy and more determined than ever to return to blogging. I will be forever grateful for the awesome inspiration I received when I needed it the most. My pregnancy was a very scary time and during those first few years of Annabelle's life when things just felt so challenging for us blogs were a lifeline for me. Blogging allowed my to build real (online) friendships with other moms who were pregnant and scared as well. These women have become such great friends to me. Our children are the same age and although their challenges are all a little different we as "extra need" parents are the same. Our hearts are connected. It seems wrong and some what unfair of me to stop blogging just as Annabelle has begun to flourish into the amazing young girl she is. What if the blogs I regularly sought out when pregnant only shared the difficult times and didn't continue to share the beautiful and amazing parts of their lives. I can only imagine how that would have affected me and my hope for our future and what a poor representation of life with Spina Bifida that would be. So, if you are new to this SB journey please know it will be okay. Please know that although life seems really scary right now I assure you it will not always feel this way. Don't get me wrong, life probably won't every be easy but I don't know many parents whose life is easy. I assure you that your child will inspire you and impress you and those around you on a regular basis. You will become a better version of yourself - probably not everyday but on the whole. You will meet and be embraced by the most amazing community of families who support, love and build each other up. Your heart will melt by the generosity of others. Annabelle has been blessed with good health and having her as our daughter has given us so much happiness. There are still days when I mourn the life I thought we would have or I hurt for the struggles I anticipate she will encounter throughout her life. I try and allow myself these moments and then I move onto enjoying the beauty that is my life, my family. When I stay present there and focus on all that I have, I find that I have very little time to miss what I don't have. Here are some highlights from the last 6 months. It's crazy to think that Annabelle is already 4 1/2 years old. Annabelle leaving Build A Bear on her birthday (July 29th). She had a GREAT time building her bear! The store was super accessible and I was very impressed with the whole experience. 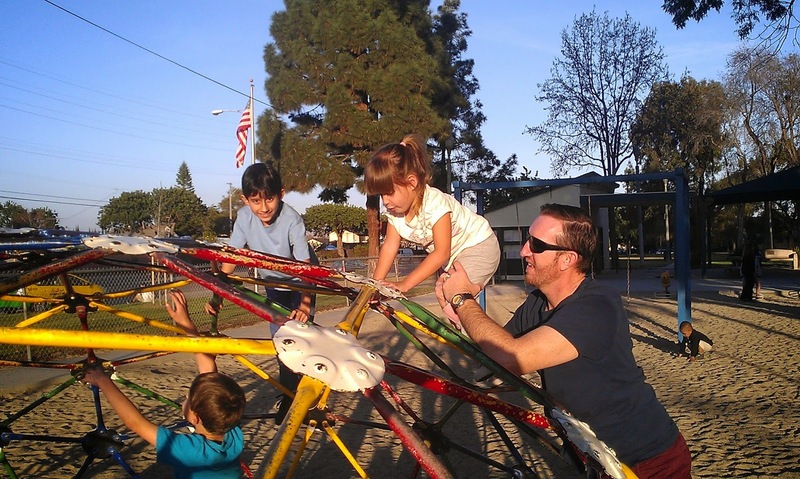 Annabelle is always willing to try new things if her daddy is there. She is totally and completely a daddy's girl! In September, Annabelle returned to preschool. She started out going 3 days a week and kept that schedule until the end of the year. When she returned in January 2014 after the Christmas break she starting going 4 days a week (Friday's off). I'm pleased to share that she really enjoys school and has great teachers. Of course she wore her Peach's Neet Feet for her first day of school. Being the beautiful girl that she is at the Japanese Gardens. Annabelle was an Angel in the annual Christmas Eve mass at church. What joy this brought our family to watch her up on the alter with all of the other children, Such a special night. Sparkler fun on New Year's Eve! 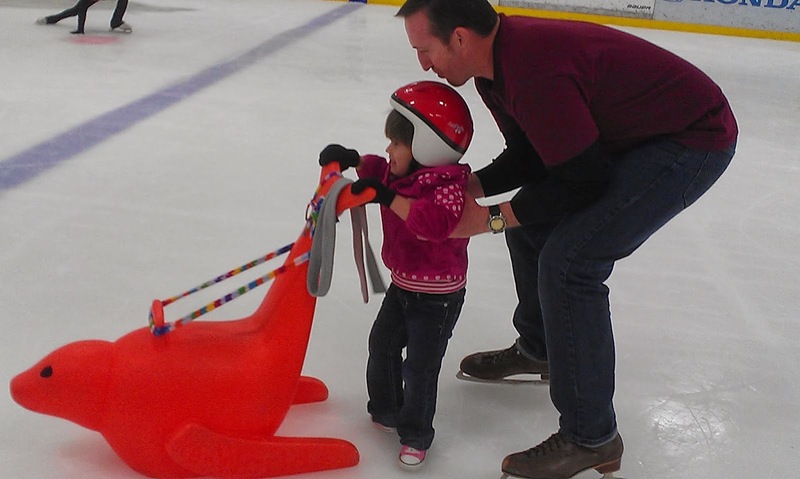 Ice skating as a family was AWESOME! 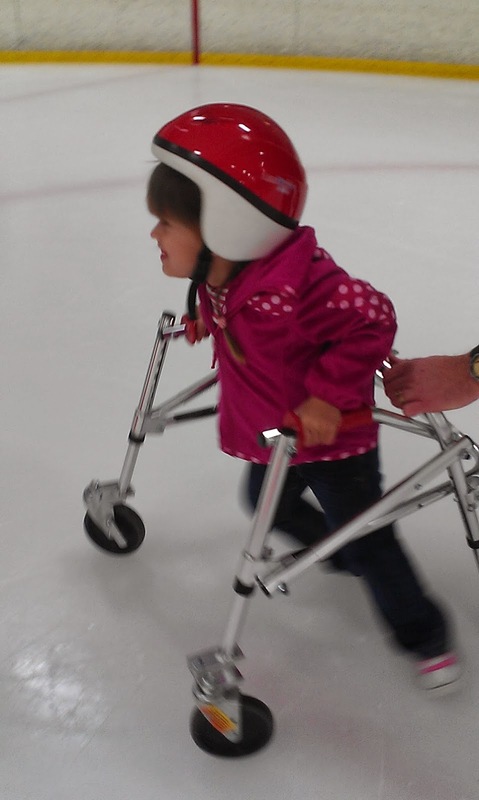 She was practically running on the ice. Her excitement level was off the charts! Don't shy away from activities that seem difficult for your child (this is my norm, but am working hard to change this). 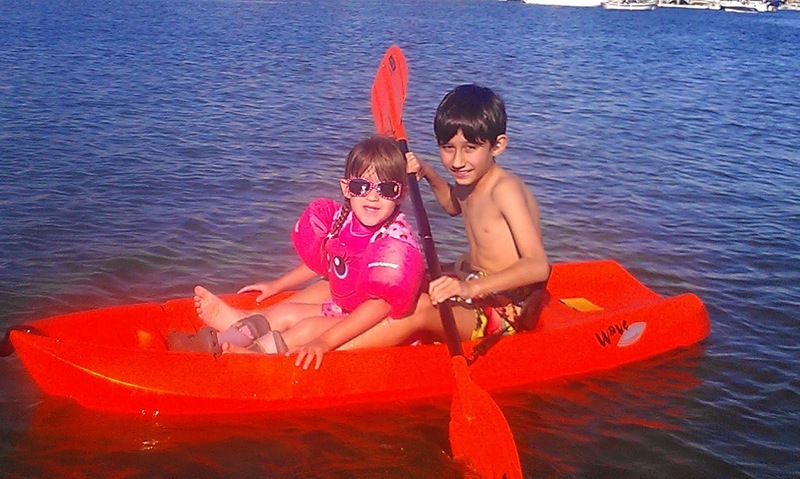 I am learning how many wonderful activities can be adapted to make them a reality for your child. Ice skating was so much fun! Yep, one random Friday in February we met a group of awesome firefighters. They let us sit in in the truck and try on their outfits. Then they just might have driven Annabelle and her two brothers around the neighborhood for fun. Yep, it was pretty amazing! Playing at the park is one of Annabelle's favorite things to do. 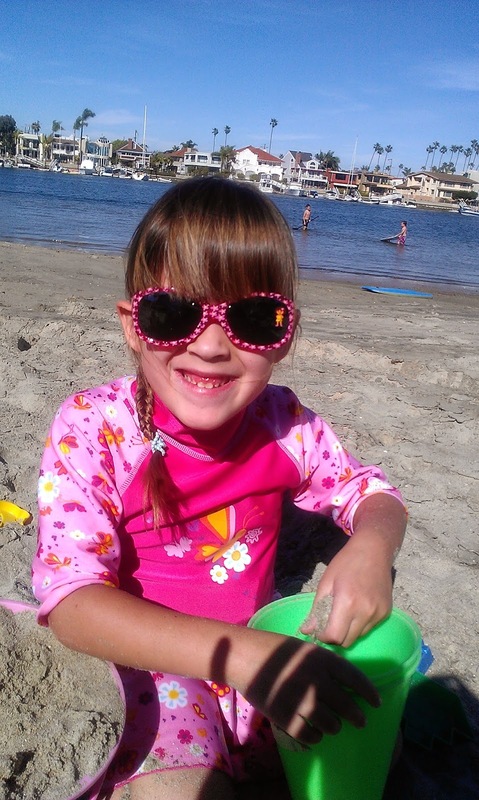 Because we live in Southern CA we are blessed to have many fun beach days throughout the year. These pictures are from March. I hope this catch up update gives a small glimpse into the full life that Annabelle is living. She is NOT a Spina Bifida "sufferer" I hate this description you read so often. She is not suffering, she is living! Does she do things differently than some? Yes, but I assure you she always finds a way. She is a blessing to our family and we thank the Lord everyday for making her our daughter. We truly are the lucky ones! Thanks for the update. Our baby was just born so we are on the other end of this and Annabelle has been very inspiring for us! Congratulations! Best wishes to you and your family. 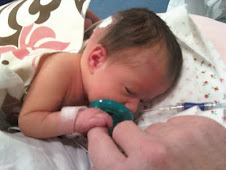 Have you joined http://community.babycenter.com/groups/a3825/spina_bifida_kids yet? I rarely go one anymore however the friends I made and the advice and support I found was critical during Annabelle's first 2 years. I'll have to check it out, thanks alot! I tried to email you at summersfamily09@gmail.com, but it bounced. Can you email me at admin@spinabifidanaturally.com. 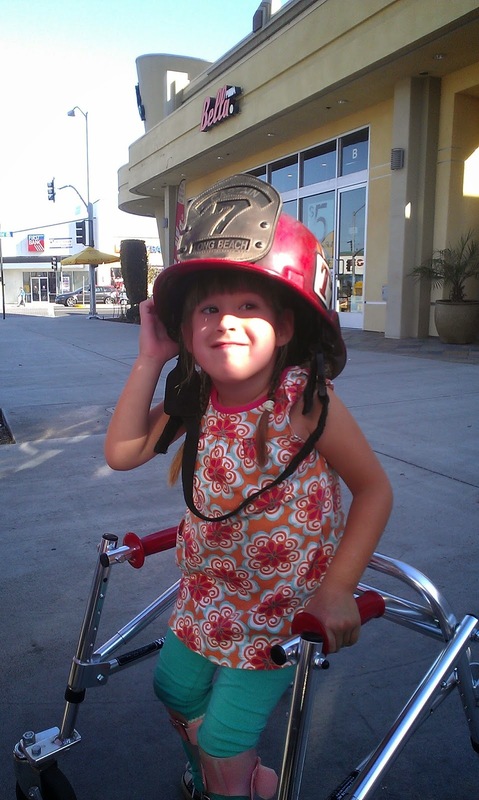 We want to list Annabelle's blog on our blogroll with your permission. Annabelle is beautiful and amazing!